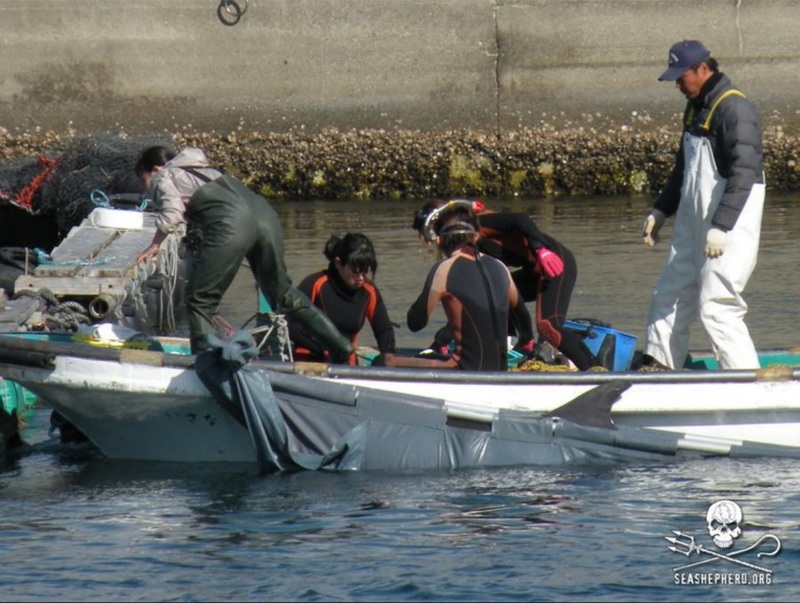 The 2013-2014 dolphin drive and slaughter in Taiji, Japan has never been more obviously supported by the captive industry than this year and last. The bottlenose dolphin prized by SeaWorld’s and marine parks worldwide are one of the species that demonstrates the enticing golden hand of captivity as it reaches out to the dolphin hunters sponsoring and encouraging them to capture more dolphins for the ever growing industry. During the current dolphin drive hunting season the ISANA Fisherman’s Union, the dolphin hunters, have had great luck driving in several pods of bottlenose dolphins. For each trained dolphin they can get upwards 175,000 dollars while a dead dolphin will only bring about 400-700 dollars for its meat, less depending on species. The bottlenose are most often used in fertilizer. 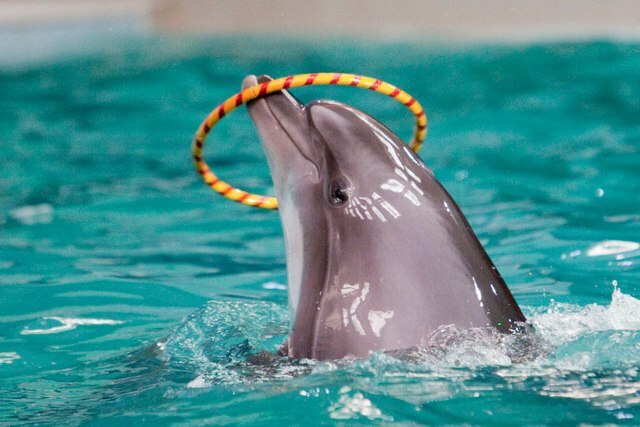 The captive industry keeps the dolphin drive alive. The meat is toxic for human consumption and in truth the population that eat and use dolphin in Japan is small but as long as the captive industry needs new blood to stock their aquariums the terrible abuse, and slaughter will continue. How can you help? Don’t buy a ticket to a dolphin show or swim with dolphins. Join the ongoing event pressuring WAZA and IMATA to end their long relationship with Taiji drive fisheries HERE. It’s time to end the aquatic circus model created by SeaWorld and accept the fact that dolphins belong in the oceans with their families. 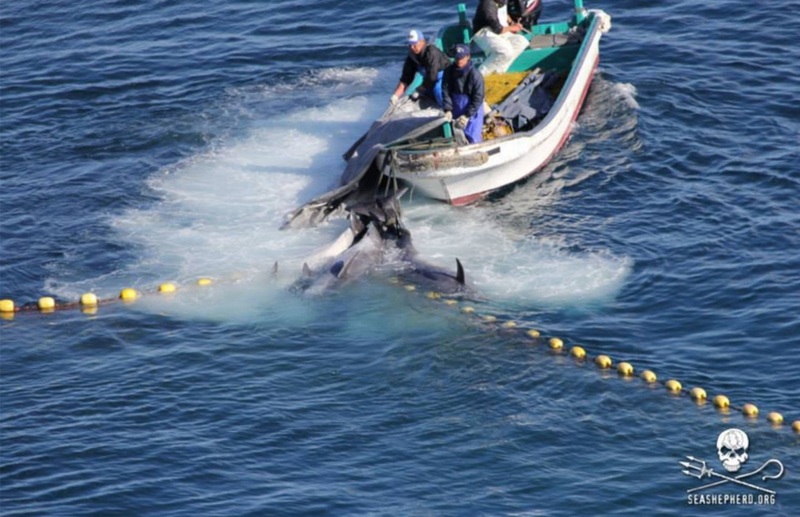 This entry was posted in Dolphins and tagged Blackfish, Bottlenose dolphin, Cove, dolphin slaughter, dolphins, Japan, SeaWorld, taiji by Kirsten Massebeau. Bookmark the permalink. Please do and let me know if you have any questions. Thank You Kirsten for spreading the facts and informing people about what is happening at Taiji Japan and here in The United States of America. The USA stands for freedom and justice throughout the world. There is nothing Free or Just about stealing wild dolphins from the ocean at Taiji and then selling them to Dolphin Parks and Hotels in Florida, California, Texas, Hawaii, Nevada. This has been accepted by the ignorant American public through years of deceit and untruth and political contributions. The dead dolphins of Taiji family members are here in the USA performing at San Diego, Las Vegas, San Antonio, Oahu, Maui, Orlando. We have been lied to and propagandized about the health and well being of these hundreds of show business captive dolphins. 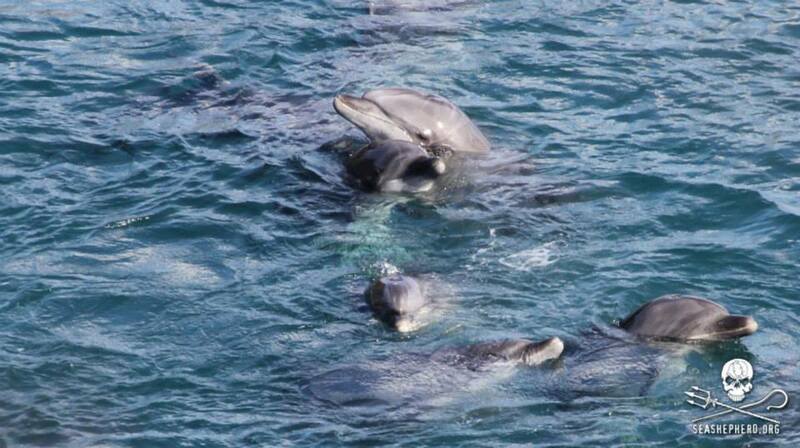 Now some of us know about the bloody Cove at Taiji. Now we own all the death and bloody business involved in attending and supporting Dolphin shows and swim with Dolphin experiences. These animals have been declared sentient beings by the worldwide scientific community in 2012 at Vancouver BC Canada. Americans that buy tickets to attend and take children and grandchildren to visit these Dolphin Businesses are just as guilty of the Taiji slaughter as the men wielding the harpoons and blowhole killing stakes. Would you enjoy swimming in a pool of blood with dead butchered dolphins all around you? No, but that is exactly what happens when you make the choice to give your money to these businesses. Do Not Buy A Ticket. Tell your family how you feel about this. The Dolphins in captivity will all die, unless we do something to protest this injustice. Do Something. No more excuses. Another young generation is being raised to think it is okay to swim in pools with dolphins. It is a seductive lie, there is no joy, no life in captivity. This has to stop. It’s not right what they do to these Animals there Born FREE they should stay that way.. What right do we have as Humans to kill any Animal…. The dolphin suffering endured in the cove is beyond cruel. The Decked is stacked against the dolphins. The WAZA board of directors is well manned with SeaWorld executives whose only objective is to obtain dolphins for display. when I went swimming with dolphins with my two children I thought I was helping teach them about nature and these graceful animals. I had considered these marine parks to be a positive contribution to the effort of the preservation of nature rather than its destruction for greed and status. Had I known about Taiji I would have certainly taken my precautions before buying those tickets. I am appalled. Mathias your comment gives me hope for dolphins thank you! Stop killing them they are brilliant creature dolphins are the best animals. Need stop killing them !!! !